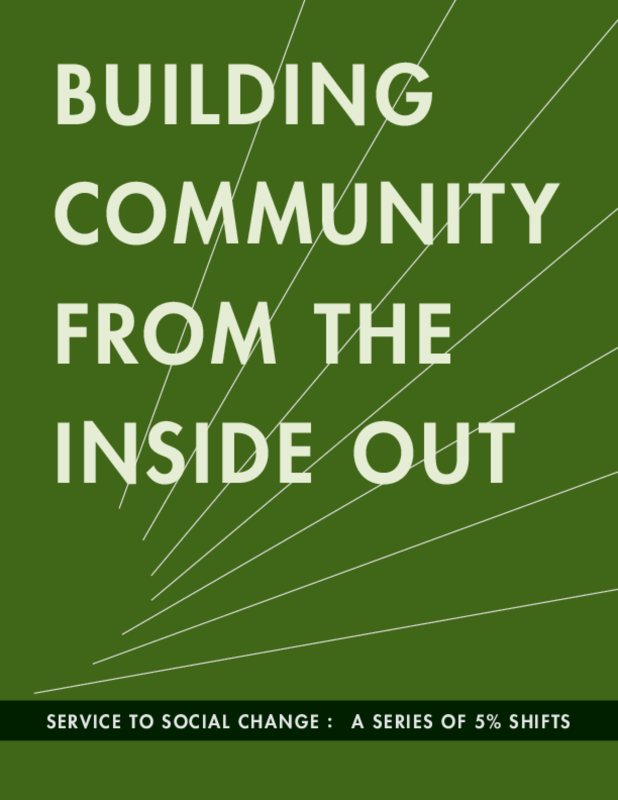 The concepts of community and social capital are connected to feelings of belonging, interdependence, trust and reciprocity; and both ideas have been integrated into frameworks for helping marginalized people and addressing social problems. Sense of community is linked to psychological well-being and is one of the most commonly researched ideas in the field of community psychology. Social capital gained popularity over the last two decades, thanks in part to Robert Putnam's best-selling book "Bowling Alone", and to foundations promoting the concept as "useful to help families escape poverty and build healthy communities." The popular focus on community and social capital may draw criticism for being romantic or naïve as a social change strategy, but in direct service delivery, both concepts point to the hard-to-quantify benefits that social service agencies provide. In neighborhoods that have been marginalized by economic and racial inequities, service providers often see specific problems of homelessness, hunger, unemployment, addiction, etc., linked to more generalized social distance and alienation. Therefore, when nonprofit organizations take a holistic approach to helping people, they should not overlook the importance of building a sense of community within their organization and among clients. This report includes two case studies of community building efforts by nonprofit organizations in Detroit and New York City.